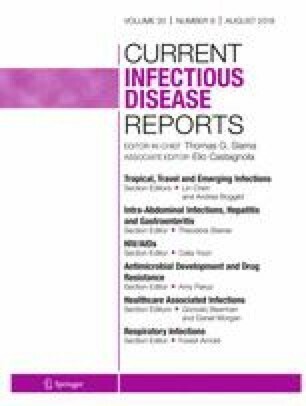 Multidrug-Resistant Pseudomonas Infections: Hard to Treat, But Hope on the Horizon? As the sixth most common nosocomial pathogen in the USA, Pseudomonas aeruginosa poses a significant threat to patients within the healthcare system. Its intrinsic and acquired resistance mechanisms also significantly limit the choices for antimicrobial therapy, prompting an increase in the research and development of antibacterial agents with enhanced activity against multidrug-resistant (MDR) P. aeruginosa. While many approved and pipeline antibiotics have activity against wild-type P. aeruginosa, only four new antibiotics have promising activity against MDR P. aeruginosa: ceftazidime-avibactam (Avycaz®), ceftolozane-tazobactam (Zerbaxa®), cefiderocol, and imipenem-cilastatin/relebactam. The goal of this paper is to review the epidemiology and mechanisms of resistance in P. aeruginosa as well as explore the newly approved and pipeline agents that overcome these mechanisms of resistance. Ceftazidime-avibactam and ceftolozane-tazobactam are currently FDA-approved and available for use, while cefiderocol and imipenem-cilastatin/relebactam are in development. Current evidence suggests ceftazidime-avibactam and ceftolozane-tazobactam both may have a role in treatment of MDR P. aeruginosa infections. Ceftolozane-tazobactam appears to be modestly more potent against P. aeruginosa, but emergence of resistance has been noted in various reported cases. Trials are ongoing for cefiderocol and imipenem-cilastatin/relebactam and early results appear promising. The aforementioned agents fill important gaps in the antibiotic armamentarium, particularly for patients with MDR P. aeruginosa infections who otherwise have extremely limited and often toxic antibiotic options. However, resistance to all of these agents will likely emerge, and additional antibiotic development is warranted to provide sufficient options to successfully manage MDR P. aeruginosa infections. Lynn Nguyen, Joshua Garcia, and Katherine Gruenberg declare that they have no conflict of interest. Conan MacDougall has received honoraria as a consultant for Shionogi Ltd. and grants from Merck & Co.
• National Healthcare Safety Network. NHSN antibiotic resistance data. CDC website. Available at: https://gis.cdc.gov/grasp/PSA/index.html. Accessed 13 Dec 2017. The CDC provides the current landscape of antimicrobial susceptibilities, showing the growing problem resistance. US Food and Drug Administration Anti-Infective Drugs Advisory Committee. Cerexa, ceftazidime-avibactam for injection,2014. Available at: https://www.accessdata.fda.gov/drugsatfda_docs/nda/2015/206494Orig1s000CllinPharmR.pdf. Accessed 18 Nov 2017. • Torres A, Zhong N, Pachl J, Timsit J-F, Kollef M, Chen Z, et al. Ceftazidime-avibactam versus meropenem in nosocomial pneumonia, including ventilator-associated pneumonia (REPROVE): a randomised, double-blind, phase 3 non-inferiority trial. Lancet Infect Dis. 2017; https://doi.org/10.1016/S1473-3099(17)30747-8. This randomized controlled trial evaluates ceftazidime-avibactam as an alternative to meropenem in the treatment of nosocomial pneumonia caused by Gram-negative pathogens, including Pseudomonas aeruginosa .